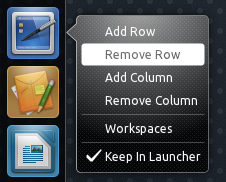 There's no easy way to modify the number of workspaces in Unity - there is an option in Gconf but that's not exactly user-friendly -, so MrChrisDruif has created an Unity icon (with quicklists) to easily add or remove workspaces rows/columns. 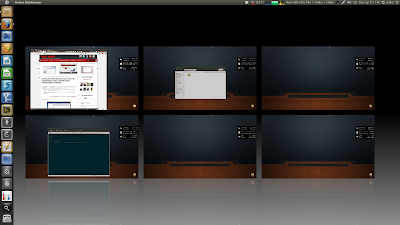 Then, open Nautilus and navigate to ~/.local/share/applications/ (".local" is a hidden directory in your home folder so press CTRL + H to see it) and drag the "Workspaces" icon to the Unity launcher. Credits for the script/quicklists: MrChrisDruif @ AskUbuntu.